Q. Has Apple ever contacted you, or the evad3rs, for any reason (outside of regular business that Apple conducts with its customers/developers)? A.Yes. I got a job offer once. As far as I know, all jailbreaker interactions with Apple have been pretty positive, especially in contrast with what companies like Sony apparently do. I didn’t take it for personal and logistical reasons. At the time I was in Canada with a complicated visa situation. It wasn’t a solid offer anyway. I’m sure I’d’ve had to interview, etc., first but I didn’t choose to get much into the process at all. Q. How do you feel the future of jailbreaking looks based on how long this release took? Do you think Apple will ever just release an open iOS? A.It’s hard to say. 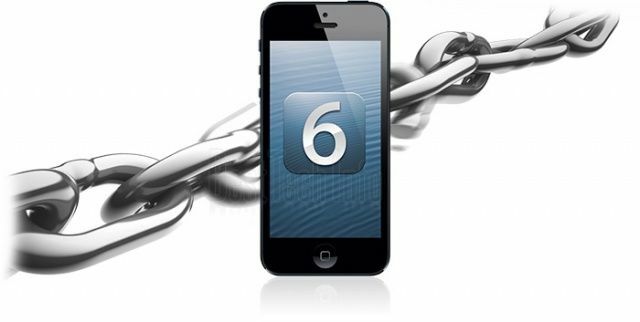 Apple has successfully mitigated many vectors of attack in iOS 6. 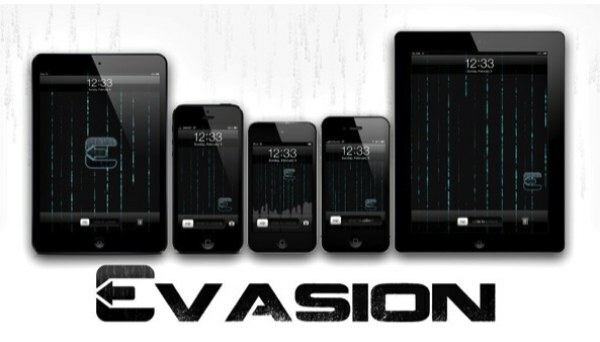 In this current jailbreak, we “evaded” Apple’s mitigations in the userland with several vulnerabilities I would perhaps characterize as “lame”, since these mistakes are a throwback to earlier days of iOS jailbreaking where we primarily used filesystem tricks. We only attacked Apple’s hardened security head-on in the kernel. “Lame” vulnerabilities tend to be hard to find, however, so it’s likely the next jailbreak will be tougher. That said, we also retain a few tricks that may or may not help in the future. Who knows what the weight of each factor should be when trying to determine how long the next jailbreak will take. I think the ship has sailed for Apple to consider shipping an open iOS. The furthest they might have gone was perhaps allowing you to unlock the bootloader like the Google Nexus phones. However, I don’t think they currently have a compelling reason to. Q.What is your opinion on what future iOS versions will bring? Mainly thinking of widgets supported natively (similar to Android). A.When I first saw the SBWeeApp interface and Notification Center, I thought for sure they’d have some way to let AppStore apps add to it. However, the primary issue is that all the widgets currently reside in a single process, which means they’re very likely to be able to interfere with each other. In something like the AppStore ecosystem, the probability approaches 1 and there could be a lot of problems. Compounded with this is the fact that that process is SpringBoard, which is the entire shell for iOS, so any problems are rather catastrophic (tweaks crashing SpringBoard is never fun!). However, they are apparently working on compartmentalizing SpringBoard (it used to be the window manager for the OS as well) and perhaps there’s a way to host different views that are actually controlled by separate processes, so it might be possible in the future. Another possibility is some widgets that are primarily determined by property lists or something, similar to how the Settings app works. Q.What do you do when you’re not making jailbreaks? And what kinds of plans do you have if for whatever reason you find you can’t jailbreak the next iOS versions? A.I work on web analytics software for my day job. If jailbreaking is no longer possible, then I’d probably spend my extra free time on playing those games in my Steam library that I bought on sales but never played. Q. Why do you personally jailbreak? What tweaks do you use on your devices that are essential? A. The biggest thing for me is openssh. I also use IntelliScreenX a lot. Sometimes I install My3G if that becomes necessary for something. The thing is, I restore my devices a lot in the course of testing so it’d be annoying for me to restore a heavily customized setup every single time that happens. The things I most use on my phone is probably Alien Blue, MobileSafari and MobileMail, though. IntelliScreenX helps with the mail part, but the other two don’t really need the jailbreak. Q. Where do jailbreaks usually begin? Is it methodical as in “let’s look for afoot in the door”? What tools are involved in the jailbreak development process? A.Honestly, for me, it’s usually when someone drops a lead in my lap or pod2g chases me down and asks me to do some work improving something he’s already got. This recent iteration I found a lot of stuff on accident in the process of trying to get other stuff to work. Finding vulnerabilities is not usually fun for me though, exploitation is. [as for the tools used in Jailbreakdeveloper:] fxr.watson.org, opensource.apple.com, IDA, vim, clang, an existingjailbreak with OpenSSH. Q. For someone who would like to “get into” jailbreaking because of interest what would be a good place to start? A.Start by reading about existing jailbreaks and how they work. Perhaps try to rewrite an existing exploit another way, or improving it somehow. (I know the kernel exploit still can be improved, I’m planning to get to it one of these weekends). Make small achievable goals and work/study hard to accomplish those. There’s going to a lot of stuff you won’t understand at first, but there’s also a lot of publicly available information, and the process of piecing that together and/or experimenting until you get it is more helpful than if someone just told you. In what seemed a very modest session, Planetbeing revealed that it doesn’t take a genius to make a Jailbreak, only someone that can work around security. Alright, so that’s easier said than done, but he seems confident (by the last question) that almost anyone can get into the world of Jailbreaking, you just have to put the effort in. It’s almost certain Apple will patch the Evad3rs Jailbreak in an upcoming update, but as of now enjoy your Untethered iOS 6.1 Jailbreak.